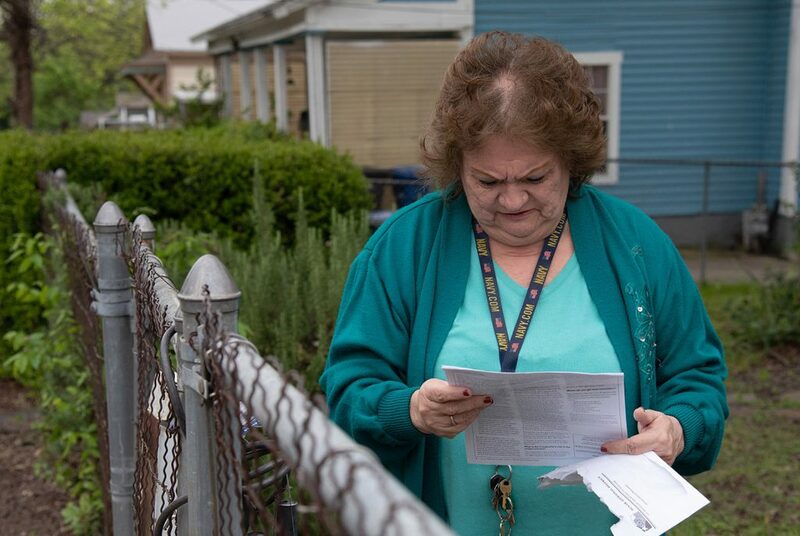 While working two jobs, one of which pays $18,000 as a special ed assistant in SAISD, Jeannine Qualls thought she was making longer-term investments for her family as the owner of three properties in Denver Heights. She’s building a two-story house on one of the properties on Paul Street, a hidden part of this East Side neighborhood you’d have to take a few wrong turns to find. Here are the median property values for the three East Side neighborhoods that abut downtown. 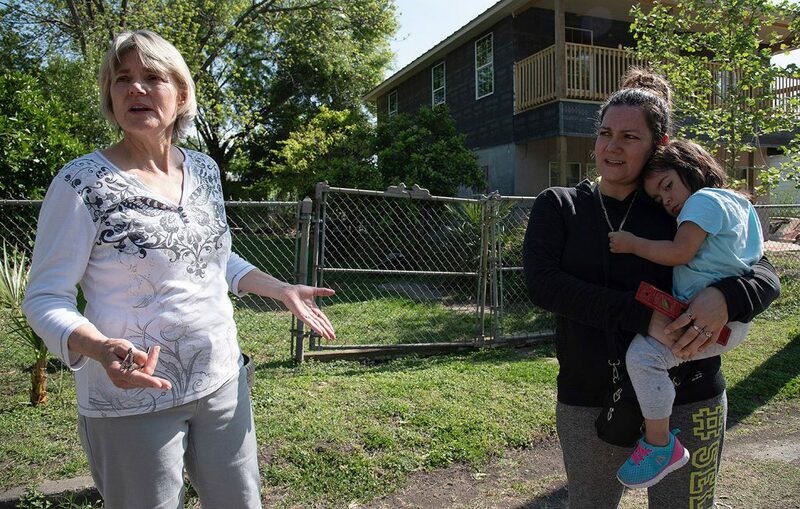 When we talked to Qualls two weeks ago, she had not received the 2019 valuation notice from the Bexar Appraisal District for the house she’s building. She had received the valuation for a one-story home she owns a block over on Nevada Street, where the taxes spiked to $4,000 this year—up from about $1,500 when she bought it four years ago. Qualls and her family feel the effects of soaring property values in the sections of the historic East Side that abut downtown—Government Hill, Dignowity Hill and Denver Heights. Of the regions that touch downtown, the East Side is considered ground zero for gentrification in San Antonio. Who or what is to blame for the renewed interest in these neighborhoods depends on who you ask. Some would say it’s fueled by San Antonio’s downtown housing incentives policy, which has produced roughly 6,800 units since 2012—predominately market-rate apartments built or under development on the edges of downtown. They tend to be located in or up against these aging communities whose demographics in some cases have become a mix of low-income, middle-class and affluent residents, the ratios of which vary depending on the neighborhood. Others would point to their historic housing stock, much of which had fallen into decay but became attractive to many newcomers who could afford to restore the older homes. For some, like Qualls, the appeal comes from the proximity to downtown. In Denver Heights, the median property value this year is $99,190, lower than the middle figure of $170,890 for Dignowity Hill, and $116,370 for Government Hill, the neighborhood just east of the exploding Pearl area above downtown, north of the highways. Though Denver Heights has the lowest median value, home prices have spiked 163 percent in the last five years, behind Dignowity Hill, which soared 189 percent during the same timeframe, according to an analysis of data the Heron requested from the appraisal district. Ten years ago, the median value of all three neighborhoods was between $40,000 and $49,000. 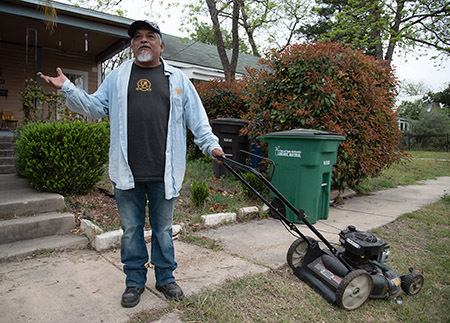 Currently, the City of San Antonio is working toward designating Government Hill and Denver Heights as neighborhood empowerment zones (NEZs), in which qualified homeowners could have their city property taxes frozen for 10 years. The move is one of several measures the city is pursuing to try to combat the many forms of displacement critics say are happening in these changing areas because of the multifamily housing incentive policy, also known as the Center City Housing Incentive Policy (CCHIP), among other causes. Since December, COPS Metro Alliance has pressured Mayor Ron Nirenberg and the City Council to adjust policies such as CCHIP so they produce more affordable housing, while at the same time passing more strategies for keeping long-time residents in their homes amid the rapid change. In March, on a Wednesday, the day before the City Council was set to approve one such policy, 200 members of COPS Metro packed council chambers during a citizens to be heard session to continue the pressure on Nirenberg and the council. Their message that night: We want relief now. Diana G. Orosco, who’s lived in Government Hill since 1958, and in her current house on North Palmetto Avenue for 30 years, was among the throng. 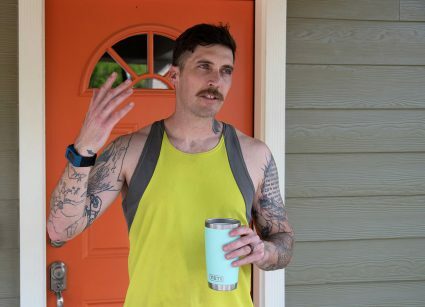 Though the city is moving toward declaring her neighborhood an NEZ by year’s end, and though it’s speeding up other anti-displacement strategies, Orosco still thinks new development will inevitably consume Government Hill. She also blames the Pearl’s growth. Property owner George Villarreal sees the changes happening in Government Hill from a different perspective: that of a landlord. Villarreal owns a house on Mason Street that’s been divided into three apartments. Higher property taxes means he has to raise rents in order to afford them, which is often a difficult conversation, he said. Tenants have moved out of Villarreal’s property because they couldn’t keep up with the rising rent. Villarreal has had to evict some tenants for the same reason. In Denver Heights, we walk up Dakota Street, from South Hackberry, and find many vacant homes and many renters who don’t want to talk to us about property values. Seven blocks up, Dakota dead ends at St. John’s Lutheran Cemetery, so we head back to Hackberry, but on Paul Street, where more people seem to own their homes. Throughout the East Side, but especially in Denver Heights, investors offering cash for homes well below their market value are rampant, residents say. 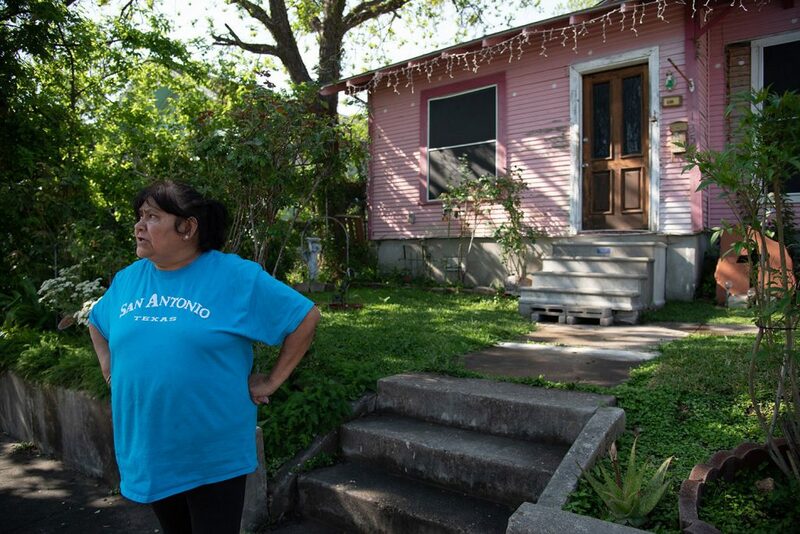 Maria Salazar, 60, has lived in her pink house on Paul for 35 years. In recent years, she paid it off, and now pays a paltry sum on taxes every year because she got a disability tax exemption. The hike in her property’s value doesn’t bother her, but the investors do. Farther down Paul, Dustin and Tara Lindberg moved into a flipped 1940s house in August from the northeast side. Dustin, who serves as the pastor of Oiled Lamp Church in Lytle, welcomes the appreciating values as a new homeowner. He and his wife bought their home for just under $200,000, and it was recently appraised at about $210,000. Lindberg mentioned two nearby shootings that had happened a few days before our interview. “People coming in and trying to take care of their property and their families, it’s a positive in my eyes,” he said. Genaro Perales, who also lives on Paul with his wife and two teenagers, had not received his notice yet when we talked to him, but says he’s felt the increased property taxes, which are bundled into his mortgage payment. Last year, the payment went up by close to $100. “You feel it, don’t get me wrong,” said Perales, who works as an air conditioner tech. Perales says they’ll stay there another two years, while his wife finishes getting her criminal justice bachelor’s degree. Then they’ll decide what to do. I’m hosting a free class on How To Protest Property Taxes this evening, Wednesday April 17, 6-7:30pm. Feel free to join us at the Berkshire Hathaway Don Johnson office on Blanco Rd. And yes, it is free because I too am going to protest my increase.